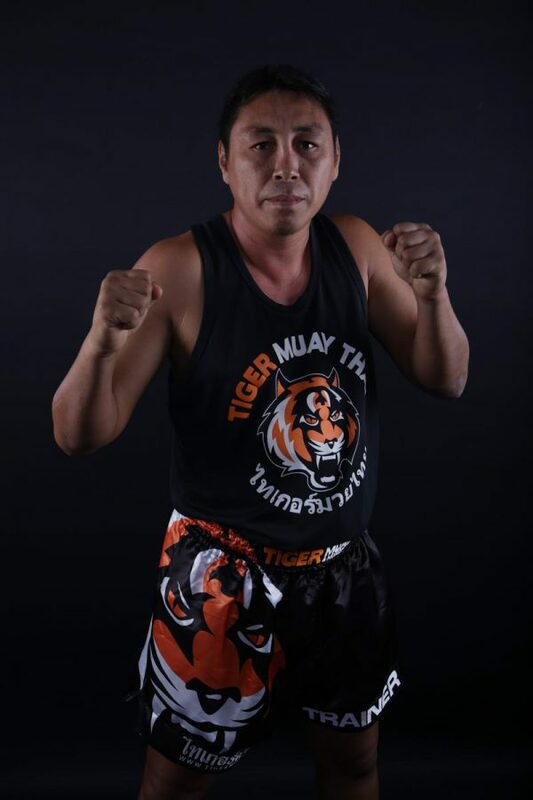 Born in Songkla province, Sawat had a very successful fight career in southern Thailand, Bangkok and Malaysia before becoming a trainer and coming to Tiger Muay Thai. A veteran fighter with a record of over 300 fights who is known by all southern Thai fight fans, Sawat still fights occasionally and always displays his huge heart and toughness. Known for his strong walk forward style, Sawat makes his students work hard to improve their power and stamina.